It’s finally done! I have mentally been working on this for a long time, however it took me two FULL days to complete it… over the course of a week, that is. I started by cutting all my fabrics in one day. 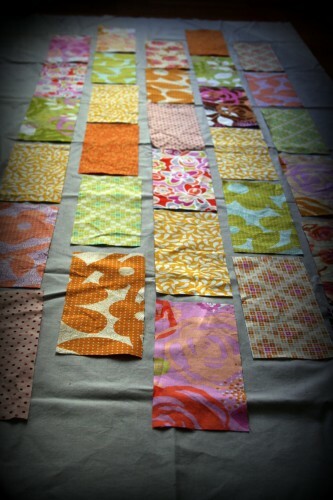 I stared at the pile on my table for a few days, then decided to finally begin laying it out. 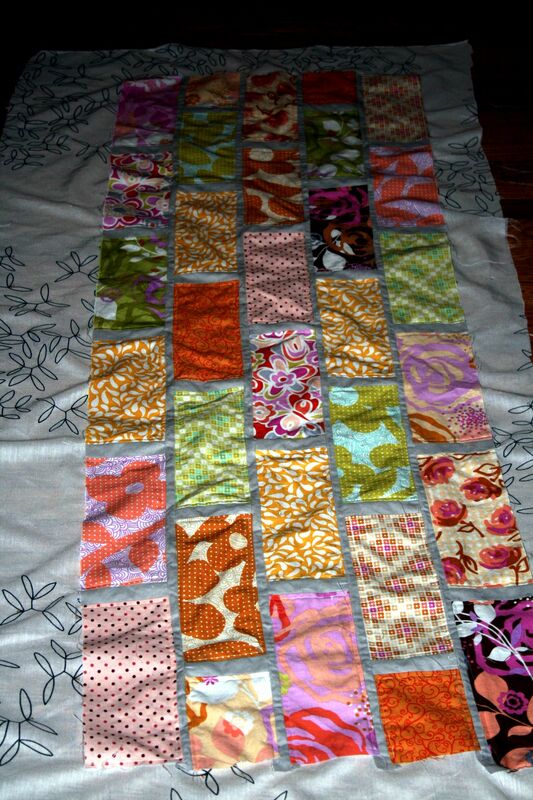 After many layout changes came the sewing, which was a difficult task because it’s the largest thing I’ve ever sewn. 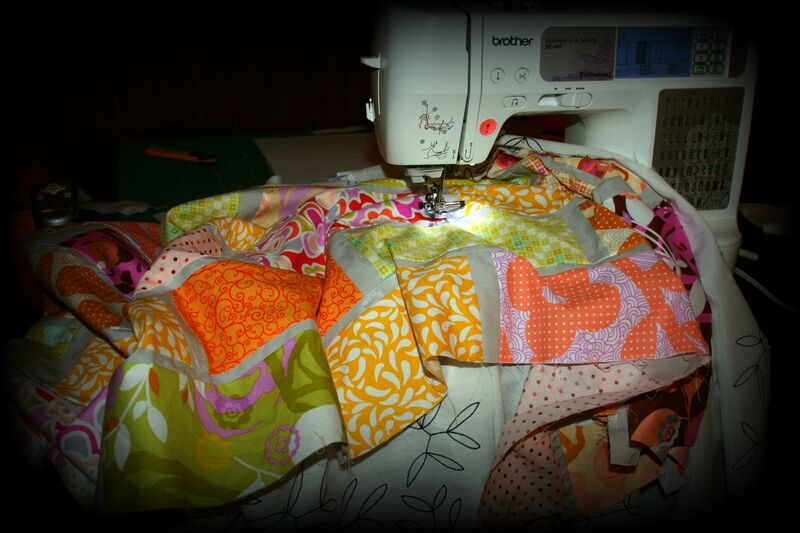 As you can see, it was a serious late night event, sewing in the dark until 5am. Then I backed it and quilted it. (I used an old ikea window curtain I had, which turned out out to be a perfect lightweight fabric for backing) Unfortunately, I was a bit upset about how it ended up looking curved… that’s completely unfixable, so I figured it would just have to work itself out. Since I made the back an envelope case, I decided to add a strip of fabric to liven up the back in case I got so sick of the quilted crazy colors and wanted to flip it around. I like both sides. 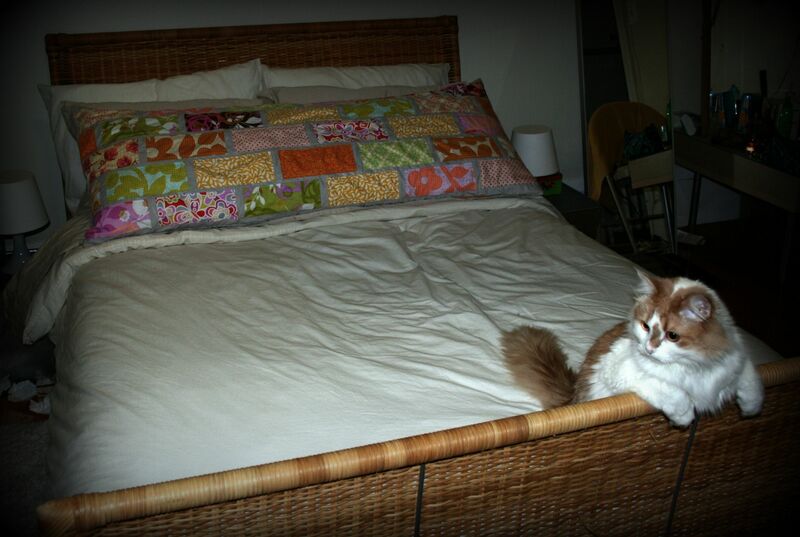 And of course, no project is complete without Coco’s approval. I will probably never be quilting anything ever again. This entry was posted on October 17, 2010. It was filed under Sewing. Palak, that’s awesome!! I love your blog! :-) Hope all is well and we see you next quarter. Palak! 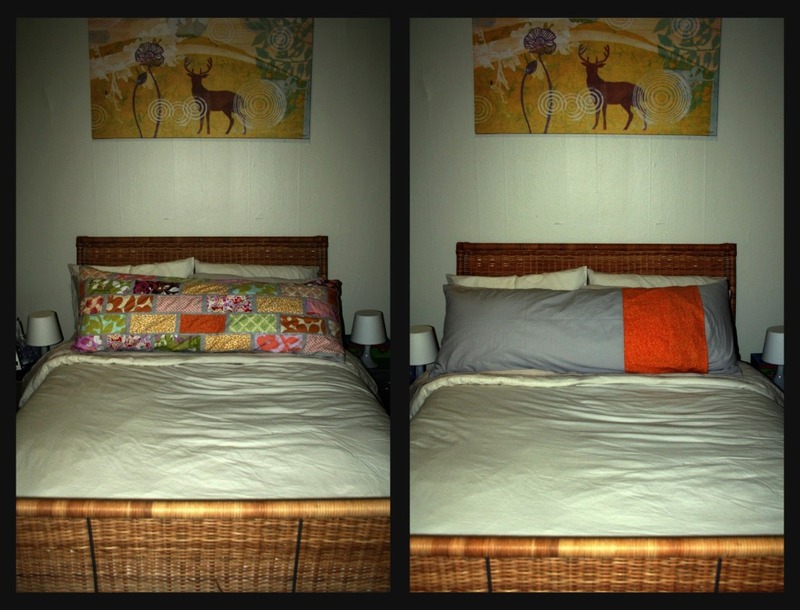 I really really really like your pillow cover. It came out great! I hope you like your new machine as well. 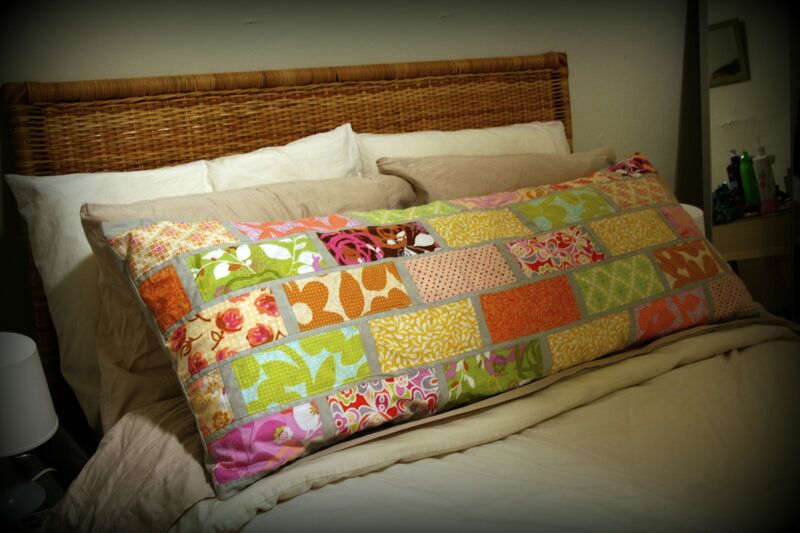 ps…I think that’s a bunch of appliques, not quilting. You sure challenged yourself, i think that project looks harder than quilting! you are a superstar!!!! Thanks Jen. This is actually quilted though. I sewed the rows across in strips with 2 inch gray fabric between, and then together with long 1.5 inch strips of gray fabric, and that’s why the whole thing is curved. I should have appiqued the whole thing though, that would have made it much less crooked. Then I backed it onto the ikea curtain just to protect all the seams (per your suggestion). I actually did not post a really good close up of the project and have been getting a lot of random comments with confusion about it, so maybe I will post one soon! I want want this pillow case!! It’s awesome. Lovely work! You’ve inspired me to create something similar. Keep a look out on http://saskatoonstitcher.wordpress.com for details. Thanks for sharing your beautiful work. I have to do a sewing project for me sewing class. Our teacher wants us to do pillows and I was wondering what the dimensions of the pieces were in your project because I really like the way it looks.